Terrorism Vs. Natural Disasters: Which Costs More? Which Kills More? Natural disasters claim many more victims than terrorism, so why is funding in Europe and North America so out of balance? 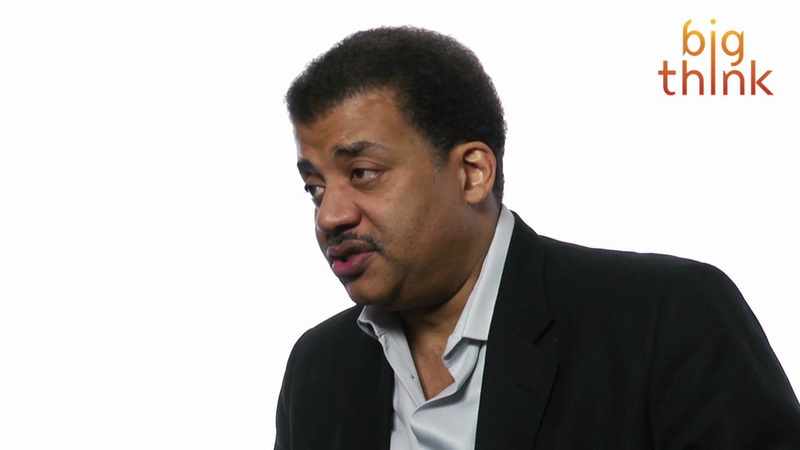 This negligence makes Neil deGrasse Tyson "embarrassed for our species". At 3:36am on August 24, an earthquake hit a small village in Central Italy. It had a magnitude of 6.2, making it one of the strongest on the Richter scale. It wreaked havoc on the village of Amatrice for several hours. The earthquake had over 200 aftershocks that were felt in Bologna (230 miles to the north) and Naples (615 miles to the south). At the most recent count, 296 people have been declared dead and many unaccounted for. “Half the town no longer exists,” Amatrice’s mayor Sergio Pirozzi told The New York Times. Both towns had buildings dating back to the Middle Ages. Both towns saw those buildings destroyed in addition to the loss of human life. Both towns may have been saved if Italy invested more money in protecting against natural disasters. The thought of protecting against natural disasters sounds crazy but it’s rooted in sound science. Buildings can be engineered to absorb and safely redirect the force generated by extreme weather events like earthquakes, fires, and hurricanes. Governments can invest money in better forecasting tools. They can also invest in better awareness and training for citizens who live in areas prone to natural disasters. Italy has the 3rd largest economy in the EU but allotted only 274.5 million euros (or 309 million USD) to national emergencies in 2015, according to its Civil Protection Department website. Only 984,000 euros (or 1.1 million USD) went to the Lazio region where Amatrice is located. That’s a shocking little amount for disaster aid and prevention, especially since the country’s landscape makes it the most susceptible to natural disasters in Europe, according to Disaster Planning and Community Management. Italy tends to prioritize rebuilding rather than prevention, and has a tendency to overspend on restoration projects. The most infamous of these projects was $35 billion spent on unfinished restoration projects for the city of Irpina following its 1980 earthquake, as The New York Times reports. The Italian government has since cracked down on this kind of spending. A different form of shockwave, the 2008 global financial crisis caused the Italian government to make major cutbacks at all levels of government spending and levy heavier taxes on its citizens to fill in the gap. As The New York Times reports, “Residents affected by the earthquake… will be required to start paying [their taxes] back next June…. those tax bills will be higher than in years past, taking into account property tax increases that are going into effect across Italy after a countrywide [sic] reassessment, in some cases by more than 50 percent.” Italy has requested an additional 4 billion euros from the EU in order to help alleviate taxpayers’ burden, but they still need more help. Compare those numbers to the US. The US budget to protect against natural disasters is about $10 billion, according to the Center for American Progress. Keep in mind that the US is over 30 times bigger in land mass than Italy, so it seems both are woefully underprepared. After Hurricane Sandy devastated much of the eastern seaboard, the US government spent $60 billion – five times its annual budget – to repair the damage. Expensive as that was, it’s pennies compared to the $100 billion dollars needed to repair the damage caused by Hurricane Katrina. Again, all of these budgetary strains -- and potential loss of life -- can be avoided. The answer is as simple as reallocating funds from less likely threats. Like terrorist attacks. In 2013, the US spent $16.6 billion on counter-terrorism efforts, according to Pew Research. That’s about the exact amount of damage caused by Hurricane Irene. Since the September 11 attacks, the US has spent $500 billion on intelligence to support these efforts, including $20 billion to monitor suspected threats around the world. That doesn’t include $1 trillion spent on domestic security efforts like increased police and security personnel, airport security screenings, and the Department of Homeland Security, according to Nieman Watchdog. That is an enormous amount of money to spend. And it’s had very little payoff, as Nieman Watchdog reports, “for the counter terrorism spending since 9/11 to be fully justified, homeland security would have had to deter, prevent, foil or protect against 1,667 Times Square style attacks a year, or more than four a day.” “Times Square style attacks” refers to a foiled 2010 bombing that would have caused dozens of fatalities and $100 million in property damage. "Instead of saving lives, extravagant homeland security spending is, in a sense, costing lives. In the past month over 320 people have been killed by tornadoes in the US. Yet there are studies that show $200 million spent subsidizing the purchase of tornado shelters for mobile homeowners would save 30 lives during the life of the shelters. These are guaranteed lives saved for a modest government investment. There are other examples ranging from airbags to smoke alarms to pharmaceuticals known to save many lives. Diverting even a small proportion of homeland security spending to such measures could save many lives at a fraction of the cost." If you’d like to donate, you can still do so at the Italy Earthquake Relief Fund.